You don’t have to be a Pirate or a Steeler to promote your event like a professional player! 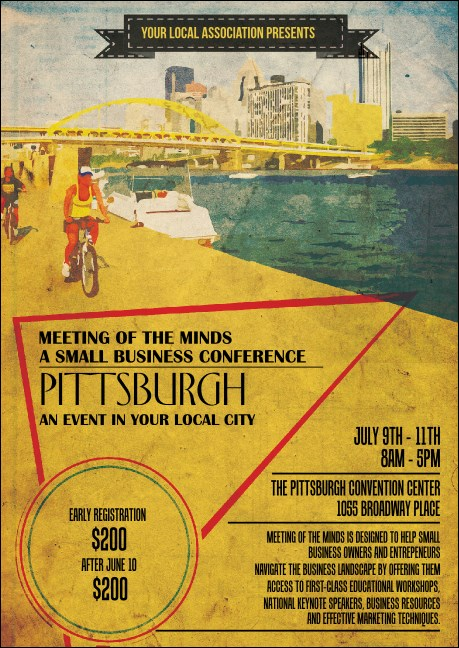 Print Pittsburgh 2 Postcards and advertise your next Steel City event in advance. Impress the locals in the City of Bridges with Postcards that feature a stunning and artfully designed picture of the city’s skyline as viewed from Heritage Trail. Find a river of great advertising at TicketPrinting.com.